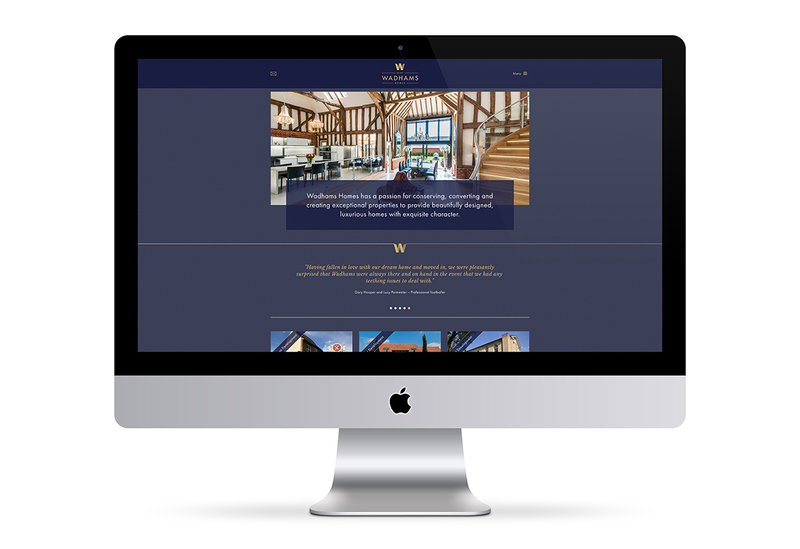 GQ recently worked with Essex/Hertfordshire property developer Wadhams Homes to create a brand that conveyed the company’s character and the premium quality of its homes. As an established and respected developer, we wanted to create a strong and classic look, but with a unique flair and contemporary edge to reflect the bespoke craftsmanship and high specification for which Wadhams is known. A royal blue and gold colour palette establishes a professional and timeless feel, whilst the refined ‘W’ logo evokes a distinctive elegance, underpinned by a clean and modern wordmark. 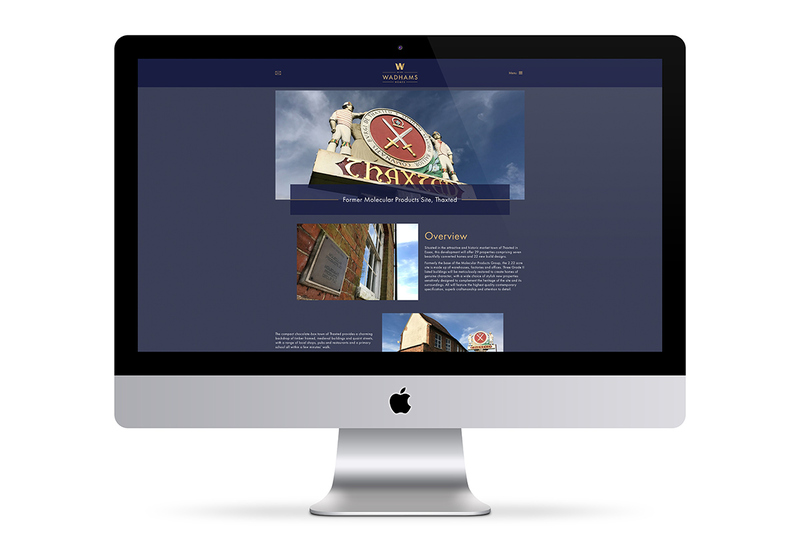 This classic but contemporary identity is carried through the bold responsive website, which makes the most of the striking property photography.